The status of this Supercharger Station will be periodically updated. Please scroll down to the bottom of this article for the latest update. It appears that Tesla is adding 8 additional charging terminals to the existing Plantation Supercharger Station. Update as of July 18, 2018. It appears that Tesla's contractor has poured the concrete pad and stubbed out conduits for the future 4 Supercharger Cabinets. 5 of 8 of the Supercharger Terminals for the expansion have been intalled. Update as of August 2, 2018. Here's a photo of the enclosure for the new Supercharger cabinets. All 8 of the new Supercharger terminals have now been installed. Update as of September 11, 2018. All 16 charging terminals are now operational and are displayed on Tesla's Find Us web page and the navigation systems of the Tesla fleet. This article will be periodically updated. For the most current status information, please scroll down to the bottom. One of our club members has found the building permit for the "Coming Soon" Supercharger Station in Jacksonville which is planned to open later this year according to Tesla's Find Us map. It is located at 4866 Gate Parkway, Jacksonville. Google lists this location as a Wawa gas station. Here is a vicinity map. You'll notice that it is about one half mile from the existing Tesla Store in Jacksonville. 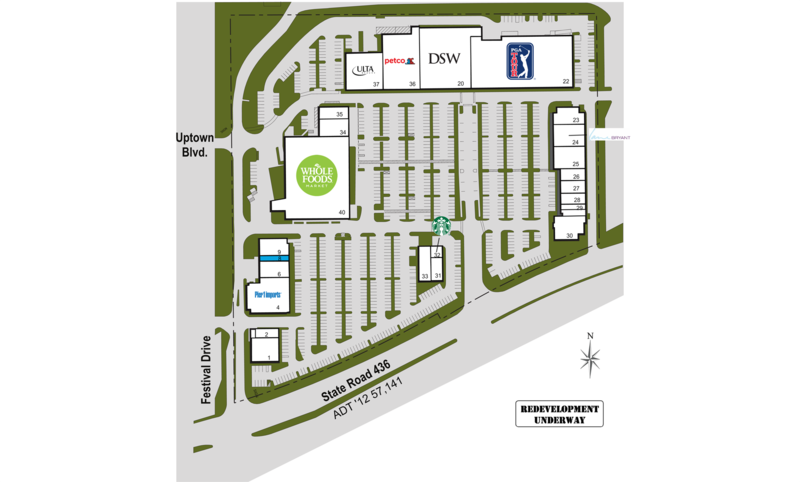 It is located across Gate Parkway from the Markets at Town Center which is the final expansion phase of the St. Johns Town Center. We are not sure from the permit, but we believe this may be an 8-stall Supercharger Station. Update as of July 25, 2018. The above photo shows the high voltage switchgear on the left. The conduits stubbed up to the right of the switchgear is where the Supercharger Cabinets will go. Update as of August 11, 2018. The photo below shows four Supercharger Cabinets corresponding to eventually 8 charging terminals for this Supercharger Station. Update as of August 12, 2018. Two charging terminals have now been installed. Update as of August 30, 2018. Although the Tesla Find Us map and the navigation systems do not currently list this station as operational, it has been reported as being operational. As you may be aware, the National Highway Traffic Safety Administration (NHTSA) and the Environmental Protection Agency (EPA) released a proposal that would roll back the Clean Air Standards for combustion vehicles. It also proposes to revoke the authority of states to set greater limits on tailpipe emissions. Such an ill-advised action would not only adversely affect public health, but it could inhibit the growth of electric vehicles. Below is an email that I received from Plug In America which asks us to take a stand against this proposal. Our club's board of directors and I unanimously support their position and we encourage you to sign their petition. In the event that the petition form is pre-filled with my contact information, please make sure that you insert your information in its place. It’s time to take a stand for the EV and cleaner cars. Today, the Trump Administration released a proposal that would roll back the clean car standards and freeze them until 2026. As if this wasn’t bad enough, the proposal also calls for revoking the authority of states like California and the 12 other states plus D.C. to set stronger limits on tailpipe pollution. This includes the zero emission vehicle (ZEV) mandate, the largest policy driver of EV sales today. This is a direct attack on the EV—sign this petition to defend the EV! The EPA claims that the ZEV standards are “technologically infeasible” and don’t give the automakers enough time to develop the necessary technology. The last time we checked, there were more makes and models of EVs in the market than ever before, and all automakers have announced the plans for more EVs to come in the next few years. Tell the EPA and Department of Transportation that you stand for EVs and clean cars! Plug In America will be joining a lawsuit to defend the EV from the devastating effects this proposal will have—not just on the EV market, but on clean air, national security, public health and the global climate. We can’t do this without your help, so please make a contribution to Plug In America today. Please share this petition as widely as you can. Florida Tesla Enthusiasts and the Southwest Florida EV Owners celebrated the opening of the the new 14-terminal Fort Myers Supercharger Station. We had a meet-up and an excellent lunch at the nearby Texas Roadhouse Restaurant. Here's some photos. What a good-looking group!